Among the first Christmas hymns learned by children is the 19th-century text “Away in a Manger.” Whether one knows the earlier melody or prefers (as I do) a later arrangement by English composer Sir David Willcocks, the lyrics and music illustrate a hauntingly iconic image of the Christ child’s birth—far from home, in a manger stall meant for animals because there was no room anywhere else. There was no crib for his bed. As a young child, I imagined this scenario by creating a manger in an old hollowed-out tree stump outside our home in Western Washington. In that soft cradle of leaves, moss and pine needles, I spent hours playing with my doll—making for her a bed and a home, a manger in a rotted stump. Even as a 3-year-old, there was some latent awareness of the pathos of no crib for a bed. It’s not a stretch for us these days to picture fleeing families, young children and babies in tow and, yes, pregnant mothers, risking their lives as they seek safety, asylum and shelter for themselves and the people they love. Perhaps for the first time, the graphic images of refugees and immigrants—of children separated from their parents—have been seared into the collective psyche of many in our land, poignant reminders of fear and desperation most of us can’t begin to fathom. As Christmas draws near, maybe we can challenge ourselves to stop the frenetic buying and frivolous preparations that too often have little to do with the coming of Christ. 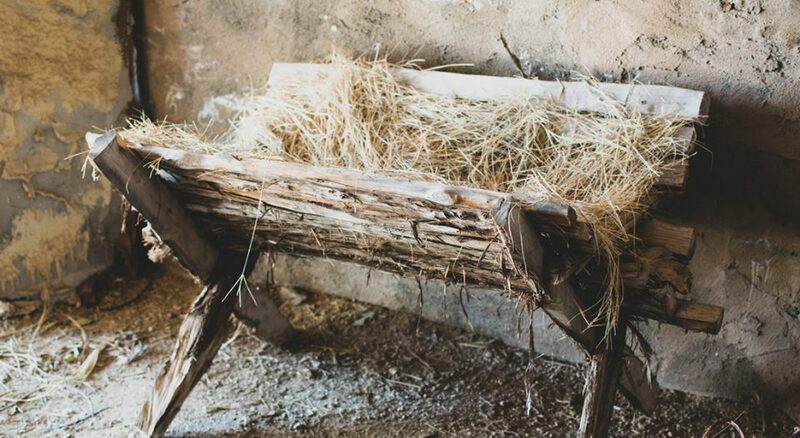 Maybe privileged, “first-world” Christians can consider what it means to make room in the inn, a soft place in the hay, shelter for all who flee oppression, persecution, tyranny. It’s a good time to stop and imagine how we might make room for the Christ child, how we might make a home where compassion and kindness and love create space for unconditional acceptance and grace. Preparing for Christmas is, most of all, about seeing the face of God in all the forgotten faces and broken places, and hearing God’s heartbeat in our own. Christmas is homecoming—making ready our own broken lives and preoccupation with ourselves; making room for a crib big enough to cradle the mystery of God, shown to us in a baby; putting aside all the distracting and befuddling obsessions of our culture; making space for the mystery of God, the very presence of Christ, to be born anew in us. Preparing for Christmas is, most of all, about seeing the face of God in all the forgotten faces and broken places, and hearing God’s heartbeat in our own. It’s about making space—accommodations—for strangers, those who know no home, those with no crib for a bed. Christmas is a way of coming home, finding home, being home. “The Word became flesh and lived among us” (John 1:14) means that God dwells in us. The living God is in our midst, making God’s home among us. Christ is our life and Christ is our home. Thanks be to God! —Samuel Torvend, professor of the history of Christianity, Pacific Lutheran University, Tacoma, Wash.